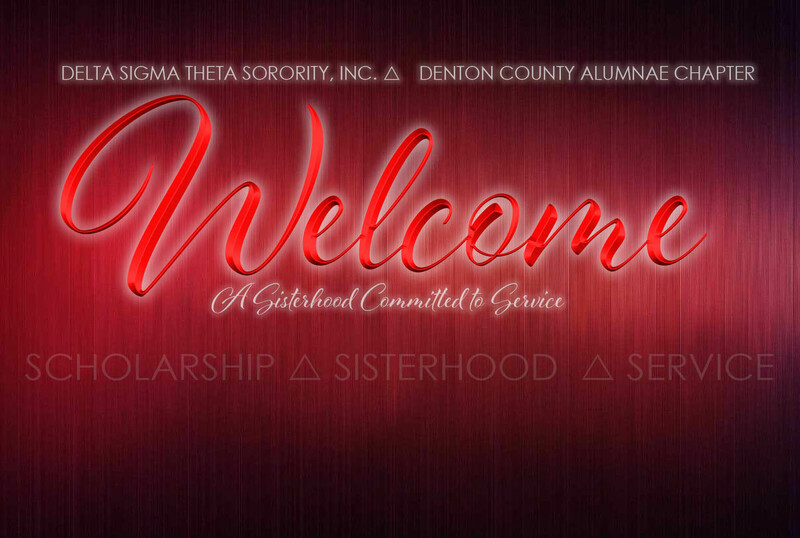 Home - Denton County Alumnae Chapter of Delta Sigma Theta Sorority, Inc. Meetings of the Denton County Alumnae Chapter are only open to duly initiated members of Delta Sigma Theta Sorority, Inc. in good standing. Proof of membership is required and must be verified before admittance to chapter meetings is granted. We appreciate your interest in gaining membership in our illustrious sisterhood of Delta Sigma Theta Sorority, Inc. However, the Denton County Alumnae Chapter is not currently planning any membership intake activities at this time. If you need additional information regarding an event or have any questions regarding the Denton County Alumnae Chapter; please do not hesitate to contact the Committee Chair of the event or Contact Us through here. It is my pleasure to welcome you to the official website of the Denton County Alumnae Chapter of Delta Sigma Theta Sorority, Incorporated. Please click here for continued message from the DCAC President, Cleopatra Birckbichler. A sisterhood called to serve: Denton County Alumnae is committed to transforming lives and impacting the community. Please click here for more information regarding the Denton County Alumnae Chapter events. The major programs of the sorority are based upon the Five Point Programmatic Thrust of Delta Sigma Theta Sorority, Incorporated. Please click here for more information on programs offered by Denton County Alumnae Chapter. 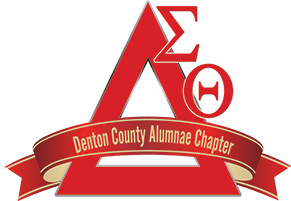 Delta Sigma Theta Sorority, Incorporated Denton County Alumnae Chapter provides programs, activities, and scholarships for the Denton County Community. Please click here to view our service.